Next stop, we venture overseas to Spain in the Ribera del Duero. The region’s principal grape variety is tempranillo, which usually expresses itself in a more powerful guise than Rioja to the north. 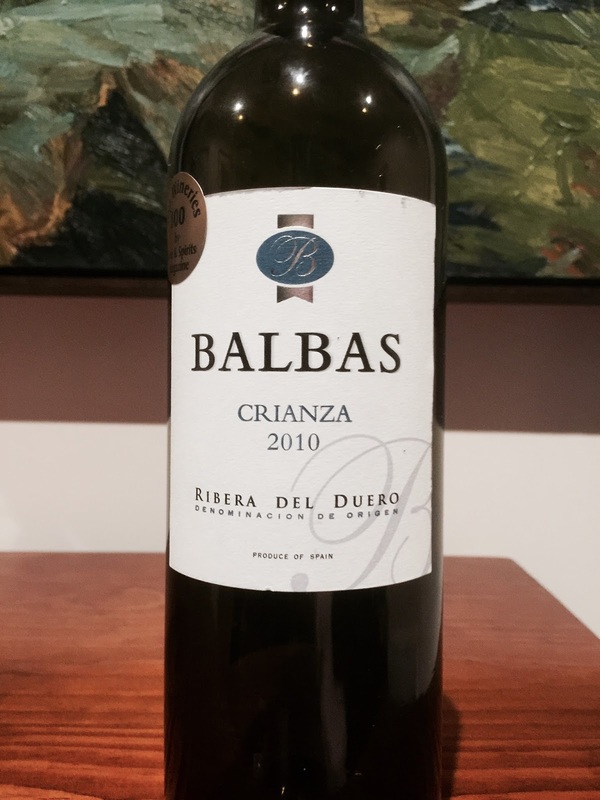 This particular wine from Balbas is a blend of 90% tempranillo and 10% cabernet. Built to last, it sees 18 months in American oak. Its aromatics remind of cedar, vanilla and blackcurrant. The palate has long length, a full body and ripe and saturated flavours. A high quality example of Ribera del Duero.